Here at Croft Environmental, we guarantee to be a company that is dedicated to taking safety seriously, with fully trained and qualified experts in the handling of asbestos removal throughout the United Kingdom in areas such as London, Birmingham Sheffield, Northampton, and Leicester. Being fully licensed since 1984, you can rest assured we can carry out a comprehensive asbestos removal operation for any property. We pride ourselves on ensuring the safety of our staff and our client during and after our asbestos removal. Licences are granted by the HSE and can be anything from 6 months to a maximum of 3 years. The license has to be renewed and applied for by us, to the HSE who then carry out stringent unannounced site visits, checks and interviews to determine our performance and to recommend what future period we can carry on as contractors or if we can carry on. This is all based on investigation and monitoring over our previous license period. Since 1984 we have prided ourselves on continually retaining a three-year license following each application. We recently had our asbestos removal license renewal and are very proud to have been granted an asbestos removal license for a further 3 years taking us to 2021. 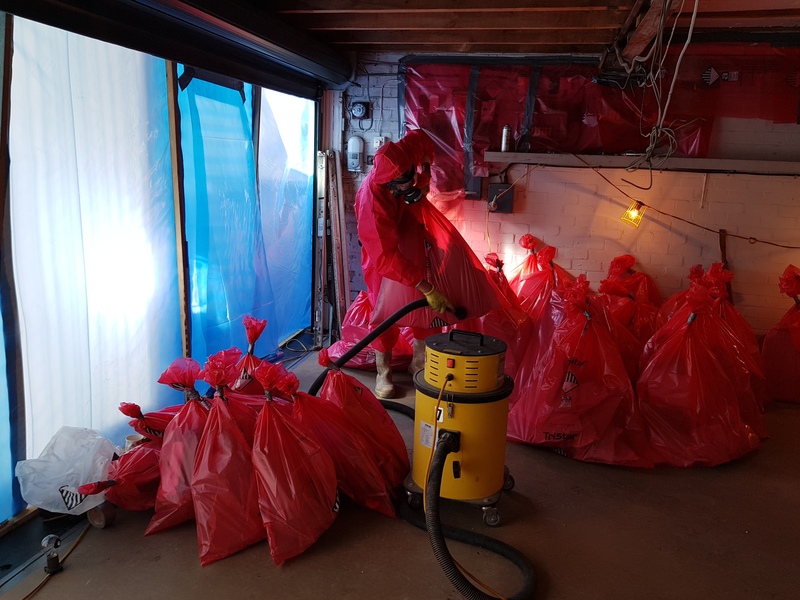 Whilst performing our asbestos removal, we ensure to dispose of all asbestos waste in a safe and harmless manner in compliance with all existing legislation. All of our operatives’ supervisors and managers attend annual refreshers and Stephen Crofts prides himself as being one of the only asbestos removal company directors who still regularly goes onto site both stripping and training operatives to Croft’s high standard of asbestos removal and health and safety, continually enhancing our workforces knowledge & experience we are currently working towards NVQ qualifications for our Operatives. We believe in investing in our people. The Health and Safety Executive (HSE) are committed to preventing ill health, injury and death all over Britain’s workplaces. It’s vital for an asbestos removal company like Croft Environmental to be licensed since asbestos is considered to involve risk, hazards and public concern whilst operating. The main purpose of this license is to show that whilst working with asbestos, we show a large degree of regulatory expertise and control. If you have a concern over your asbestos give us a call on 0116 251 8050 to get your asbestos professionally removed today!